In 2019, this event is kindly supported by OHBM, Montreal Neurological Institute, Welcome Centre for Integrative Neuroimaging, and PLOS. In this symposium, we will further dig into the personal stories by successful PIs, and their personal take on what it takes to develop a career path in academia. The symposium is an open event dedicated to early career researchers. Our speakers, Melanie Stefan, PhD (University of Edinburgh) and Veronika Cheplygina, PhD (Eindhoven University of Technology), will introduce the concept that failure is indeed part of the path to success, and discuss the true meaning of “success” and “failure” in academia. We also have the privilege of having Danielle Bassett PhD (University of Pennsylvania), one of the keynote speakers at this year’s OHBM annual meeting, to talk about rather meandering trajectories into academia, and differences between science goals and career goals. The annual symposium will be directly followed by the Lunch with Mentors event. In this event, the OHBM trainees (students and postdocs) will have the opportunity to engage in informal conversations on career development with both new and established PIs, as well as industry experts over a catered, pre-registered lunch. The aim of the event is to inspire and motivate the next generation of OHBM researchers, giving them an opportunity to learn from the experiences of the invited mentors. A particular emphasis will be put on initiating and successfully maintaining peer-mentoring relationships. Trainees will be able to discuss any challenges they may face during their academic path and the potential opportunities for their future careers. Trainees will also have a chance to choose to sit with mentors either from academia or industry depending on their interests. Attention: as there is a limited number of seats, this event requires free registration. Last year, there was a lot of interest towards the event, therefore, we strongly advise to register as soon as possible. In 2018, this event was kindly supported by OHBM and Wellcome Centre for Integrative Neuroimaging (WIN). Smooth career paths are very rare in academia. Naturally, researchers only promote their achievements, which easily evokes imposter syndrome in others. The positive bias gives an impression that academic success is effortless, which is obviously not true. The Secrets behind Success symposium is an open event dedicated to early career researchers. Professor Thomas Nichols, PhD (University of Oxford), will introduce his experience with research and industry, and explain how to get the best out of both worlds. 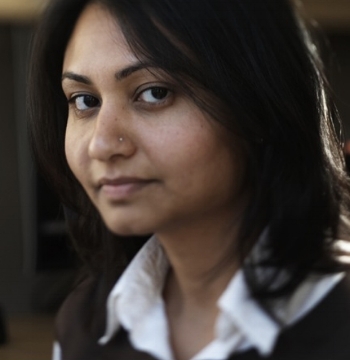 OHBM Young Investigator for 2017, Associate Professor Lucina Uddin, PhD (University of Miami) will be discussing ways in which scientists can use rejection as a learning and teaching tool to stay motivated and productive in the face of challenges. Experience transfer from mentors to mentees is a key factor for boosting the development of trainees’ personal and academic careers. Therefore, providing a venue where mentors can have a relaxed conversation with OHBM trainees, answering questions about their career trajectory, giving any useful advice or wisdom they have picked up along the way, is crucial for the human brain mapping research society. During the Lunch with Mentors event, trainees (students and postdocs) will have the opportunity to chat and engage in informal conversations with mentors over a 45 minute catered lunch session (~8-12 trainees per mentor). The main aim of this event is to inspire and motivate the next generation of OHBM researchers, giving them an invaluable and rare opportunity to learn from the experience of the invited mentors. Talk: "Life in Academia and Industry (and back)"
Dr. Thomas Nichols is the Professor of Neuroimaging Statistics at the Oxford Big Data Institute and a Wellcome Trust Senior Research Fellow in Basic Biomedical Science. He is a statistician with a solitary focus on modelling and inference methods for brain imaging research. He has a unique background, with both industrial and academic experience, and diverse training including computer science, cognitive neuroscience and statistics. After serving on the faculty of University of Michigan's Department of Biostatistics he became the Director Modelling and Genetics at GlaxoSmithKline's Clinical Imaging Centre, London. He returned to academia in 2009 moving to the University of Warwick, taking a joint position between the Department of Statistics and the Warwick Manufacturing Group. He joined the Big Data Institute in 2017. Dr. Lucina Uddin was born in Bangladesh, and immigrated to the United States with her parents at a young age. She completed an undergraduate degree focusing on neuroscience and philosophy at UCLA, where she continued her graduate studies. After receiving a Ph.D. in cognitive neuroscience from the psychology department at UCLA in 2006, Dr. Uddin completed a postdoctoral fellowship at the Child Study Center at NYU where she expanded her research into neurodevelopmental disorders. For several years she worked as a faculty member in Psychiatry & Behavioral Science at the Stanford School of Medicine, taking a short break in 2010 to teach at the Asian University for Women in Chittagong, Bangladesh. She joined the psychology department at the University of Miami in 2014, where she is currently an Associate Professor and director of the Brain Connectivity and Cognition Laboratory as well as the Cognitive and Behavioral Neuroscience Graduate Program. Dr. Uddin’s research examines the organization of large-scale brain networks supporting executive functions across the lifespan. Her current projects focus on understanding dynamic network interactions underlying cognitive inflexibility in neurodevelopmental disorders such as autism. She is the recipient of an NIMH BRAINS award, a NARSAD Young Investigator award, a Slifka/Ritvo Innovation in Autism Research award, and the 2017 OHBM Young Investigator award. Dr. Uddin’s work has been published in the Journal of Neuroscience, Cerebral Cortex, JAMA Psychiatry, Biological Psychiatry, PNAS, and Nature Reviews Neuroscience. Prof. Svenja Caspers studied Medicine, Business and Political Economics at the Universities of Düsseldorf and Hagen (Germany). After finishing her MD thesis in 2008 about the microstructural cellular and receptor architecture of the human inferior parietal lobule, she worked as PostDoc in the Institute of Neuroscience and Medicine (INM-2) of the Research Centre Jülich on structure-function relationships in association cortices of the human brain. In 2012, she became team leader of the 1000BRAINS study, a population-based study of variability of structure, function and connectivity in the aging brain. In 2015, she became Associate Professor for Human Brain Connectivity at the University of Düsseldorf (Germany) as well as group leader for “Connectivity” and Deputy Director at the Institute of Neuroscience and Medicine (INM-1) of the Research Centre Jülich (Germany). Her current research focuses on the variability of connectivity across the life-span and during aging in particular, in relation to brain structure and function, cognitive and motor abilities as well as genetic and environmental influencing factors in large population-based cohorts, using high-performance computing approaches. She is leading the 1000BRAINS study, focusing on an aging sample, as well as the neuroimaging part of the German National Cohort, where 30,000 community-dwelling subjects undergo whole-body MRI. A second focus of her research is the link between in-vivo neuroimaging and high-resolution postmortem microscopic analyses, to understand the underlying anatomical basis for the observed MR signals, particularly in diffusion MRI. Dr. Alex Fornito completed his Clinical Masters and PhD in 2007 in the Departments of Psychiatry and Psychology at The University of Melbourne before undertaking Post-Doctoral training in the Department of Psychiatry at the University of Cambridge, UK. He is currently a Professor of the Monash Institute of Cognitive and Clinical Neurosciences at Monash University, Melbourne, Australia, an Australian Research Council Future Fellow, and co-Principal Investigator of the Brain and Mental Health Lab. Alex’s research concentrates on developing new imaging techniques for mapping brain connectivity and applying these methods to shed light on brain function in health and disease. This work involves combining techniques from neuroscience, psychology, psychiatry, physics, mathematics and genetics to understand nervous systems in a diverse array of species. A major emphasis of his research concerns understanding foundational principles of brain organization and their genetic basis; characterizing brain connectivity disturbances in psychiatric disorders such as schizophrenia; and mapping how brain networks dynamically reconfigure in response to changing task demands. Guillén Fernández is professor for cognitive neuroscience. He studies the brain basis of memory, emotion, and their interaction. He applies an interdisciplinary approach integrating cognitive neuroimaging, genetics, pharmacology and diverse clinical disciplines. His research is fundamental in nature, but with an explicit aim to improve education by neuroscientific insight in learning processes and to enable personalized care in psychiatry by providing mechanistic insight in stress-related pathophysiology. Guillén Fernández is elected member of the Academia Europaea and the Memory Disorder Research Society. He received the Richard-Jung Award of the German Society for Clinical Neurophysiology, the Vici Award of the Dutch Organization for Scientific Research, the Radboud Science Award, and an Advanced Investigator Grant from the European Research Council. I am a postdoctoral research fellow at the University of Cambridge working in the Brain Mapping Unit in the Department of Psychiatryunder the supervision of Prof Ed Bullmore. I am a 2016/17 Mozilla Fellow for Science. I was awarded a PhD from the Helen Wills Neuroscience Institute at the University of California, Berkeley in 2012. I completed my thesis in the Building Blocks of Cognition laboratory under the supervision of Prof Silvia Bunge funded in part by a Fulbright award. I also completed a MSc in Medical Physics at the University of British Columbia in 2007, funded by a Commonwealth fellowship. My undergraduate degree is a first class honours BSc in Physics from the University of Bristol(2004). Ms. Preuss is a certified Project Management Professional, serving as a co-Principal Investigator on a Small Business Innovation Research grant; a U24 Cooperative Agreement, funded by the National Institutes of Health. In these capacities, she leads the 2012 HHSInnovates and 2009 Exellence.gov award winning, NeuroImaging Tools and Resources Collaboratory (NITRC). Ms. Preuss is also an Investigator on the training core of ReproNim, University of Massachusetts’ Center for Reproducible Neuroimaging Computation. Ms. Preuss is a member of the NIH Study Section on Small Business Innovation Research/Small Business Technology Transfer Panel B: Computational, Modeling, and Biodata Management (2017/18 ZRG1 IMST-K (14)). With over 20 years managing US government funded contracts, Nina has an MBA in International Business Marketing from The George Washington University and a BA in Business Management from Goucher College. Dr. Patrick Britz is the CEO & President of Brain Vision LLC and a Shareholder at Brain Products GmbH. He also holds a PhD degree in Biopsychology. During his PhD, he started working for Brain Vision as a scientific consultant and eventually was promoted to President of Brain Vision thanks to his problem-solving skills and commitment to providing solutions to Neuroscientists. Dr. Comeau recived a Ph.D. in biomedical engineering at McGill University in 2000 focusing on image-guided neurosurgery. He formed Rogue Research shortly after that developing neuronavigation tools for neurology and neuroscience research applications. Rogue Research has since grown to over 20 employees, developing neuronavigation, fNIRS, brain stimulation and vetirinary neurosurgery tools to serve the neuroscience community. Rogue Research counts over 500 laboratories around the world as our customers and we actively collaborate with many of them to develop new tools to advance their science. Andre Altmann studied Computer Science at the RWTH Aachen. He pursued his PhD studies in Saarbrücken at the Max Planck Institute for Informatics in the Computational Biology group of Thomas Lengauer. From February 2010 till May 2012 Andre was a Postdoctoral researcher in the Statistical Genetics Group headed by Bertram Müller-Myhsok at the Max Planck Institute of Psychiatry in Munich. From 2012 to 2015 he worked at the FIND lab of the Stanford University headed by Michael D Greicius. In August 2015 Andre joined UCL‘s Centre for Medical Image Computing (CMIC) as a MRC Senior Fellow with support from the MRC eMedLab project. Dr Altmann’s research focuses on understanding how molecular biology shapes brain function in healthy and diseased brains. In the healthy brain, he aims at answering questions such as “Which genes are responsible for variations in neural activity in the resting brain?” whereas in the diseased brain he seeks to understand which processes are causing severe malfunctions leading to neuropsychiatric and neurodegenerative disorders such as Major Depressive Disorder and Alzheimer’s disease. The overarching goal is to understand the molecular biology behind these disorders, which may eventually result in new drug candidates. Furthermore, he is interested in developing disease biomarkers that assist in early detection of the disorder and in personalizing the treatment. Thus, Dr Altmann’s research interests are centred on topics in neuroimaging, molecular genetics, and machine learning (and their combinations). Stefan Frässle studied physics at the University of Konstanz and the Philipps-University Marburg. He obtained his PhD at the Laboratory for Multimodal Neuroimaging (Philipps-University Marburg) under the supervision of Andreas Jansen. During his PhD, he also spent time at the Vision Science Laboratory at the Harvard University and the Translational Neuromodeling Unit (TNU) at the University of Zurich and ETH Zurich as a visiting scientist. During his graduate training, Stefan developed a dynamic causal modeling (DCM) framework for studying hemispheric lateralization of the human brain – in particular, of the core face perception network. He also investigated the stability of DCM in terms of its test-retest reliability, which denotes a necessary condition for the utility of such models in a clinical setting. For his work, Stefan won the 2016 Dissertation Award of the Philipps-University Marburg. Since March 2016, Stefan has joined the TNU to undergo a postdoctoral training under the supervision of Klaas Enno Stephan. For his postdoctoral work, Stefan has been awarded the prestigious and competitive ETH Zurich Postdoctoral Fellowship. At the TNU, Stefan works on innovative variants of DCM which advance the utility of computational models for clinical applications. In particular, he has made key contributions to developing an extremely fast computational model of functional MRI data (“regression DCM”) that is capable of providing whole-brain effective connectivity patters at the individual level. Whole-brain models of connectivity represent a holy grail for clinical neuroimaging since many psychiatric and neurological diseases are characterized by distributed abnormalities in large-scale networks, and whole-brain estimates of connectivity are emerging as powerful predictors for individual treatment response and clinical trajectory (i.e., “precision psychiatry”).